When Shaken Udder Milkshakes asked us if we’d like to taste their milkshakes I did a little research into their ingredients lists. Thankfully, they’re not keen on beastly sweeteners either and so I agreed for the boys to try them out. 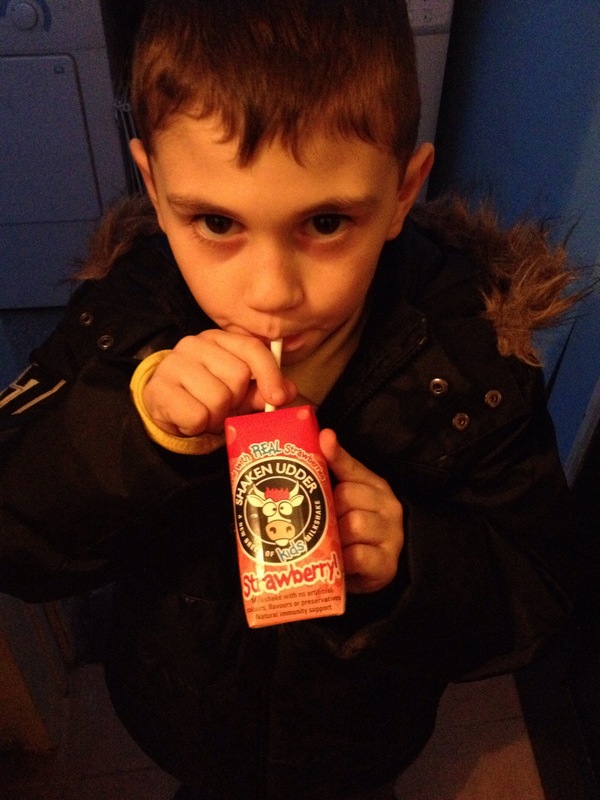 Shaken Udder Milkshakes come in three kids flavours; Strawberry, Chocolate and Banana. We received three of each for the purpose of this review so obviously I had to try one of each flavour as well as the boys – it’s only fair! The boys enjoyed all of the flavours and the milkshakes didn’t last long at all in our house, but of the three I think I liked the strawberry flavour most. They’re all well flavoured and definitely not weak or watery like shakes we’ve had in the past. These are quite creamy, thick and filling. 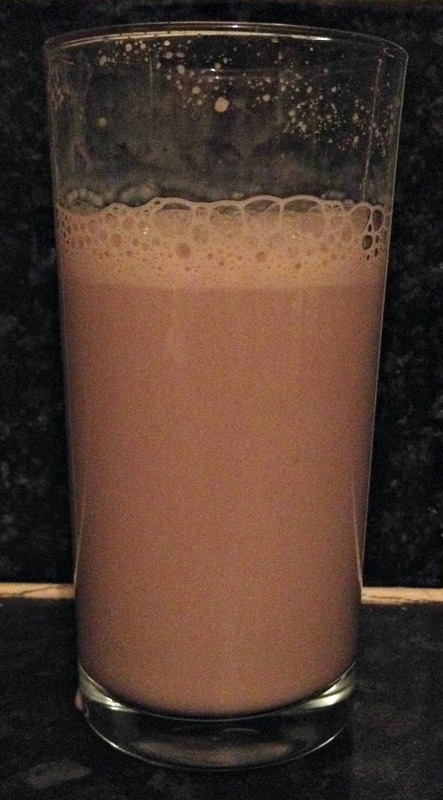 I poured my chocolate shake into a glass. You can see that it’s frothy and light, but still quite chocolatey in colour (and flavour, but you’d have to take my word for that). They don’t have that too-sweet taste though that I often find with kids drinks. Overall they’re very well balanced in taste and texture. 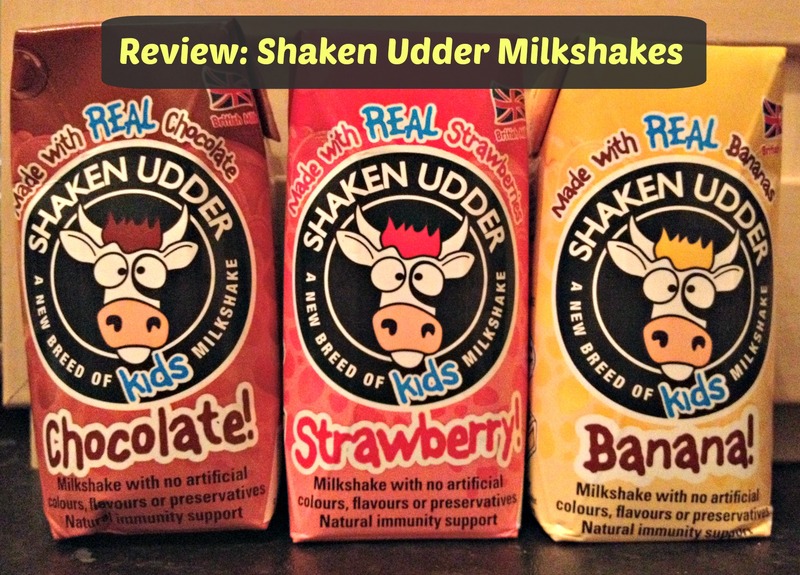 Shaken Udder aren’t just about the shakes though – they look after their customers, and they’ve made a great website where adults can find all the information they need about Shaken Udder Milkshakes. Over at their other fancy website designed especially for the youngsters, kids can play games, download and print colouring sheets and other activities, and sign up for free to a members only section of the website where they can enter competitions. For a delicious alternative to juice or water, these are a brilliant option. They’re lunch box friendly, suitable for vegetarians and don’t need to be refrigerated, although I think they do taste better chilled. The RRP on these is £1.89 for a pack of three and they’re available at Sainsburys, Tesco and through their online store. Or you could sign up to the members area on the website and try and win some!